Jodi Arias' second trial phase has been scheduled to begin in September. A judge set a new trial date on Monday. Jury selection will begin on Sept. 8. The 33-year-old was convicted of murder in the first-degree in May last year, however, the jurors couldn't decide on a sentence. According to Huffington Post, under Arizona law, prosecutors can put on a second penalty phase with a new jury in an effort to secure the death sentence while a murder conviction stands. Jodi Arias' is thus still facing the death penalty as a possible punishment. However, if the second phase fails to reach a unanimous decision, the death penalty will be removed from consideration. The final decision would then be left up to the judge to either sentence Arias to life in prisonment or for imprisonment for 25 years. Jodi Arias' last tweet came on Jan. 30: "After today, I'm not going to tweet for a while. It's temporary, but probably long-term." 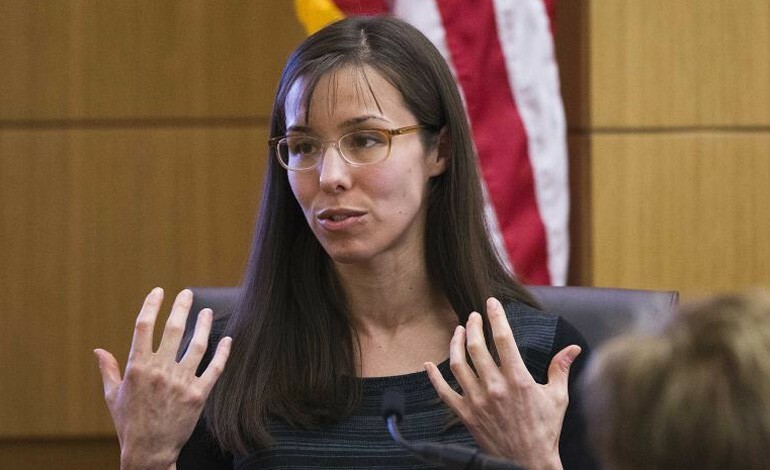 Jodi Arias, 33, was convicted of murdering her ex-boyfriend Travis Alexander. She was convicted by a court in Phoenix on May 8. The jury failed to agree on Arias' sentence -- she remains in custody. Arias has tweeted she may be considering a plea deal. Arias was convicted of stabbing Alexander 27 times, shooting him in the face and slitting his throat in June 2008. The defense at the trial contended that Arias was acting in self-defense. Arias was convicted of first-degree murder.